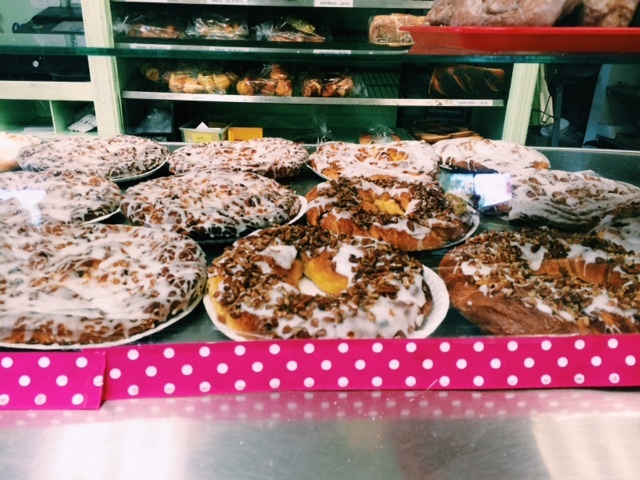 North College Hill Bakery – Go There. Try That. 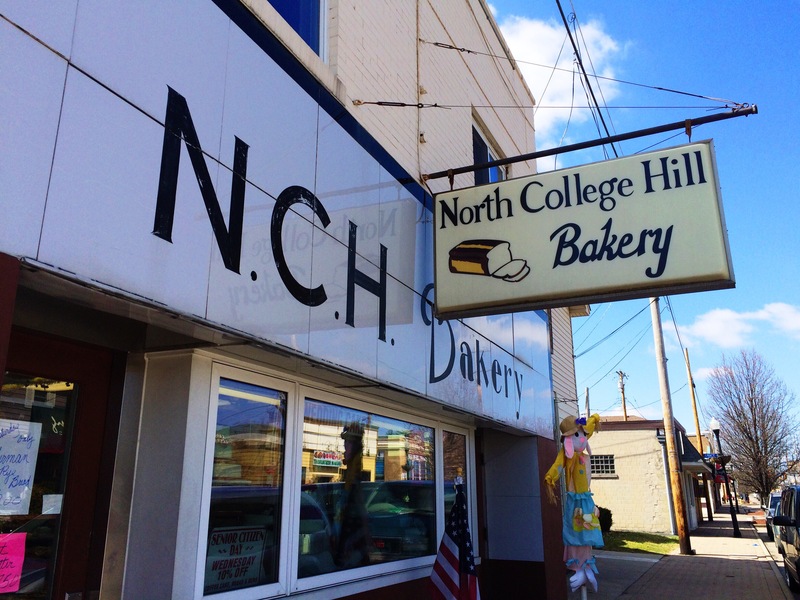 North College Hill Bakery, located in, you guessed it, North College Hill, is an incredible local, independent bakery that’s been serving Cincinnati for over 80 years. For this post, I want to specifically celebrate their cinnamon bread. I can’t even remember how we stumbled upon this bakery, but we have since become addicts! In fact, my parents, who live a couple hours north of Cincinnati, make a point of stopping here a few times a year to stock up. They even take orders for other family members. See box below! This cinnamon bread is sticky to the touch and sweet to the taste. When it’s toasting, it smells divine. The unique round shape provides both cinnamon and sugar in each and every bite. Also, the outside is coated in cinnamon and sugar as well. So good. I like it lightly toasted, no butter, but my parents and friends like it buttered. You can also use the cinnamon bread, instead of white bread, to make French Toast. Genius! Someone make this for me stat!! If this bakery isn’t close to you, no worries. Take a drive over there, stock up, and freeze it. The loaves last at least a month in the freezer. 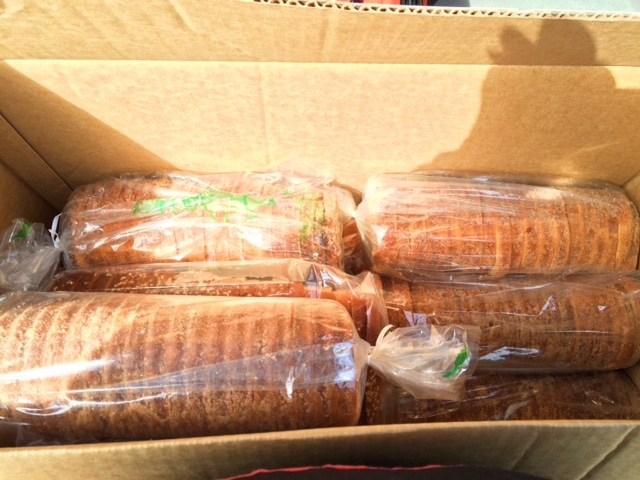 Other popular items include the double butter coffee cake, danishes, tea cookies, hamburger rolls, and cheese bread. I brought some tea cookies to a family event recently and they were devoured! I got . . . one! Yep, they were gone that fast. My dad, a salty rye fan, loves their dark rye rolls (always pre-order this one). If you plan on making a trip, go early! 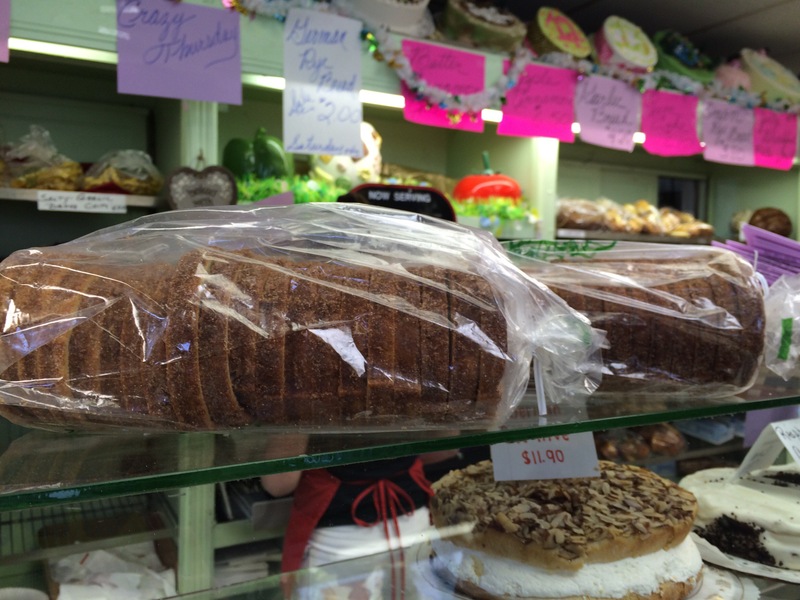 If you want to be sure to get a few loaves of cinnamon bread, call ahead and place an order. When my family is stocking up, we’ve been known to order 12 loaves at a time. I told ya I was serious about this cinnamon bread! GO THERE (North College Hill Bakery)! 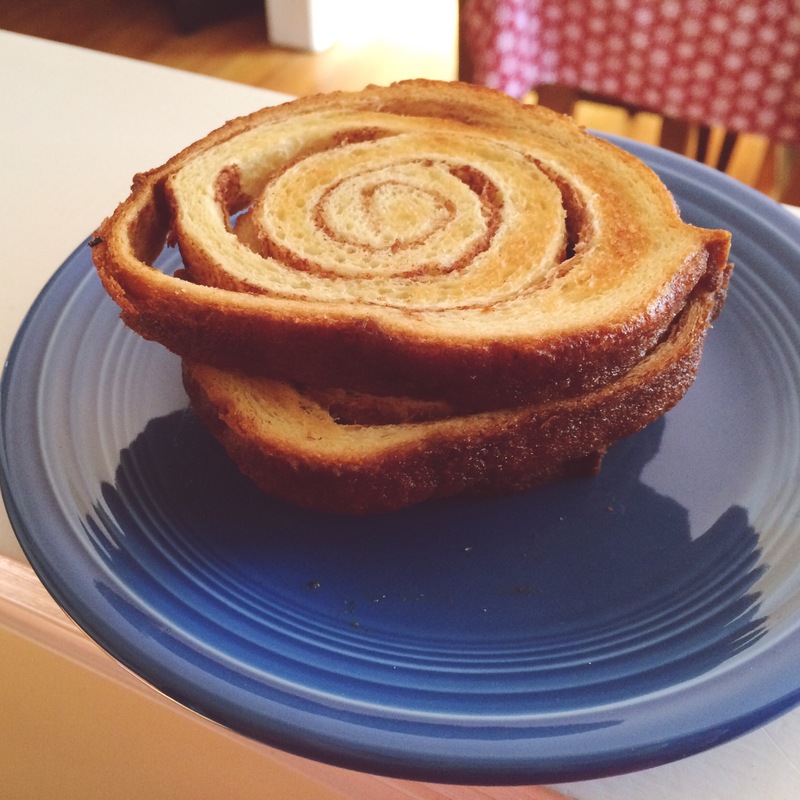 TRY THAT (cinnamon bread)! I love cinnamon bread (apparently I can’t spell it though. I went through about three variations before I came to the right one…cinnamen? cinnaman?…cinnamin? At least I got there.) My son loves it, too. We will definitely check this bakery out. Sounds like a great Sunday after church excursion.